Caramelized chicken with honey! You tell us it's a classic, but this is not the case with the recipe we present today. This dish is prepared with a delicious sweet sauce, spicy and tart, whose taste is unique that will not leave you indifferent. Let's discover together this tasty recipe but also light and dietary. 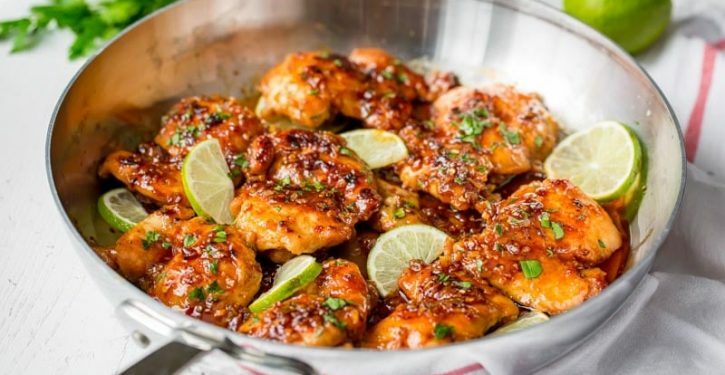 This recipe is made with skinless boneless chicken thighs and its unique sauce is garlic for the taste, honey for the pleasure of sweetness, lime for the tangy flavor and seasoning Sriracha for the spicy spice. For information, It is advisable to consume farm chicken which lives in the open air and which feeds on seeds, without GMO (Genetically modified organism). Moreover, besides the proteins that the chicken brings in this recipe, the ingredients that accompany it have just as many health benefits. Garlic contains antioxidants such as flavonoids and tocopherols as well as sulfur compounds that protect the body's cells from the harmful effects of free radicals. In addition, the saponins it contains reduce the risk of cardiovascular disease. Honey is the antibacterial par excellence thanks to its phytochemicals. In addition, it is rich in antioxidants thanks to flavonoids that help prevent certain cancers and cardiovascular diseases. Lime, also known as lime, is more acidic and fragrant than lemon but is also rich in vitamin C, iron, copper and fiber. 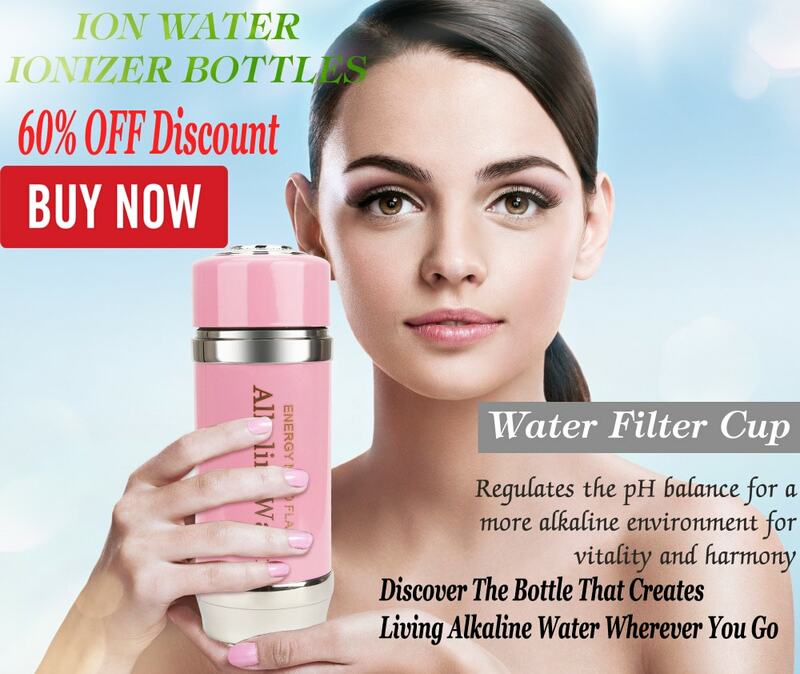 In addition, it is full of antioxidants such as flavonoids and limonoids that are healthy allies to slow the development of cancer cells, reduce the risk of cardiovascular disease and boost the immune system. The Sriracha spice blend is composed of hot pepper, tamarind, molasses and other ingredients that have just as many therapeutic effects and are anti-infective, antiseptic and anti-inflammatory. It would be helpful first to advise you to use a large non-stick pan to cook the chicken to avoid burning the sauce that caramelizes. Its preparation is easy and requires a preparation of 15 minutes and a cooking time of 30 minutes. 8 chicken legs, boneless and skinless. 2 teaspoons of Sriracha seasoning, or a mix of your favorite seasoning. - In a bowl, mix garlic, honey, lemon juice, salt and pepper. Mix and reserve. - Sprinkle chicken legs with Sriracha seasoning on both sides. - In a non-stick pan over medium heat, heat the olive oil and add the chicken legs and brown, 4 to 5 minutes per side. - Reduce the heat and add the garlic sauce you have previously prepared. Let the chicken cook in this sauce by turning it occasionally for 7 to 10 minutes until it is completely cooked. The sauce will become thick and caramelized. 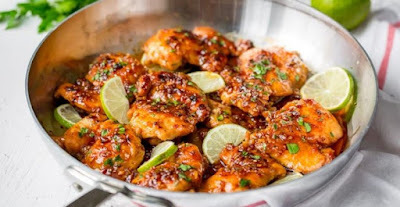 - Sprinkle chicken with chili and parsley if desired, then garnish with lime slices. - You can serve this dish, accompanied by pasta or rice. You can also add a garnish of broccoli or steamed beans.